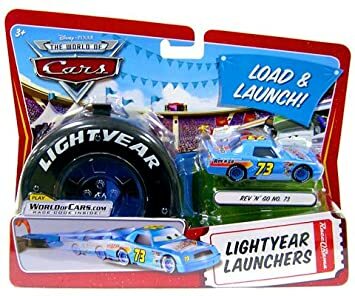 After today, I'm just ONE car away from finishing my reviews of the pre-Cars 3 2017 mainline single Mattel 1:55 diecasts. It's been a long time coming! Then I can finally jump into all the Cars 3 stuff I've purchased over the last three months. This time around I'm taking a look at Misti Motorkrass, or better known by her sponsor Rev 'N' Go No. 73 (yes, this is apparently a female car despite looking like she has a mustache 🤔). 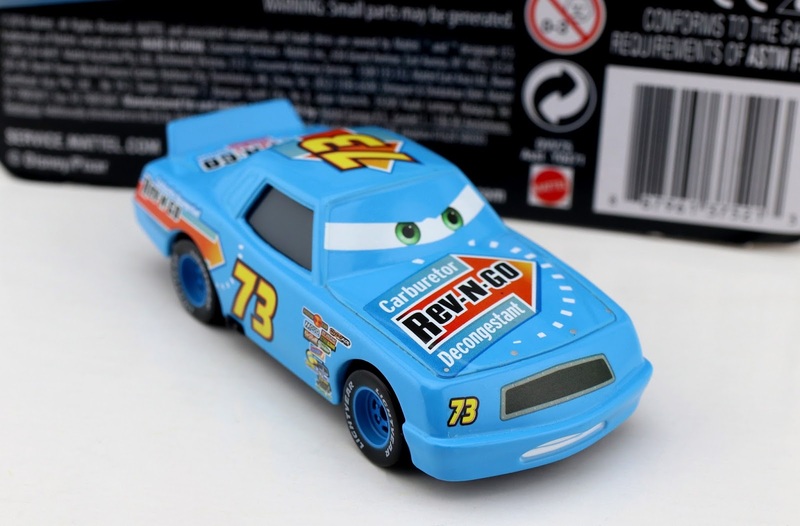 She is #3/11 out of this year's "Piston Cup" sub-series. 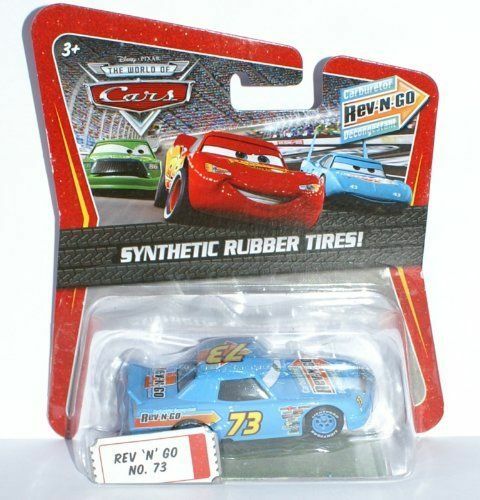 This is the first ever [non-rubber tires] single carded release of this character and I'm thrilled to finally have this sought after racer as part of my collection! Rev 'N' Go is briefly seen speeding by the camera in a couple quick shots in the film's opening Motor Speedway of the South Dinoco 400 race (in my screenshot above she's crashing since it was one of the only parts I could spot her in that wasn't just a blur). She is one of the 36 race cars competing for the Piston Cup, but seriously don't blink or you'll miss her. Again, this is her first single release without the rubber tires. 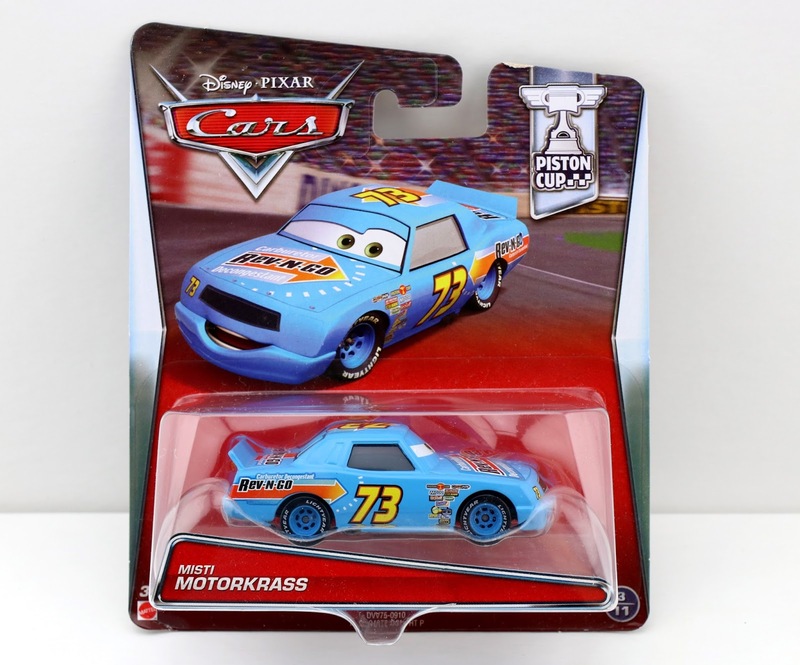 Since this release of Misti Motorkrass was in one of the last cases before the Cars 3 merch hit, she proved very difficult for me (and many) to find; a perfect example of "last wave syndrome." I ended up finding her at a local grocery store not too long ago, of all places. If you're still looking to track this one down for your collection, be sure to check out THIS DIRECT LINK to current eBay listings or Amazon using the link below (unfortunately her secondhand prices are a tad high).